There’s a subgenre of threat and malevolence running through some of New Zealand’s best records, and if it hasn’t already been eulogised on AudioCulture or in some academic thesis, then it deserves to be. The malevolence begins with the alienated caterwauling, spastic riffage and psychotic demeanour of Phil Judd in the Split Enz of the mid-‘70s, and then leeches into the sound of dozens of post punk bands circa ’80-’83. It’s a uniquely New Zealand phenomenon that’s worlds away from the stock-standard rock and roll rawness of The Clash, although there’s definitely more than a hint of it in the sour vitriol of the first Pil album with its intentional dissonance and a defiantly rebellious stance, or the first Siouxsie and the Banshees album, The Scream, with its nasty, brittle, minor key torture. The undeniable peak moment of this micro-genre was the 1980 12-inch single by Auckland group The Features, ‘Victim’, which can still send shivers down the spine and is so timeless that it deserves an award that it’ll probably never get. Features spin-off group Fetus Productions also had their own kind of brooding malevolence but turned their sound towards the then vital industrial sound of English groups like Throbbing Gristle and SPK. By and large, post-punk malevolence in NZ was dominated by the short-lived Terrace Scene bands in Wellington, who numbered amongst them the likes of the phenomenal Shoes This High amongst lesser lights like Life In The Fridge Exists and Naked Spots Dance, and sometimes featured Christchurch interlopers The Gordons amongst their number. 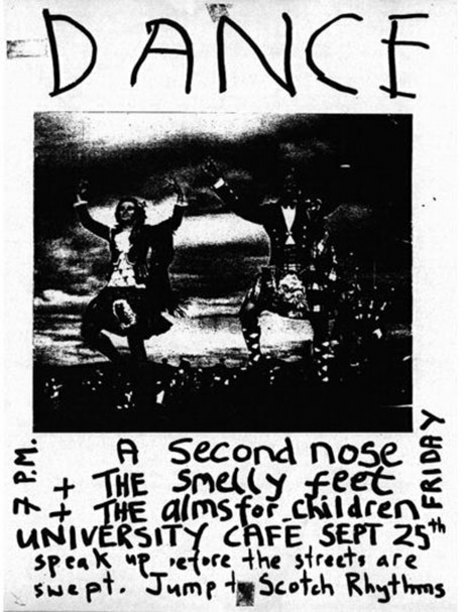 While the Terrace Scene quickly dissipated and had all but disappeared by the end of 1981, the brooding malevolence of post-punk lingered in Wellington for some years, a real highlight being the The 1st 15. 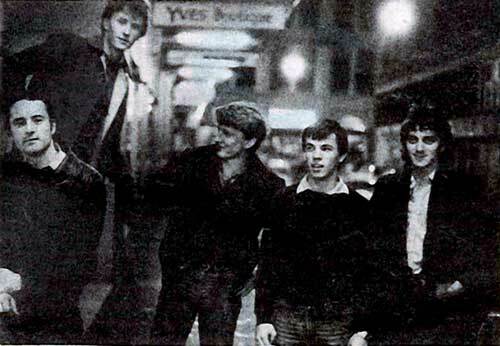 Malevolent post-punk seemed to be owned by Wellington at the time and it suited the dark, cold, windy vibe of a city filled with public service drones on one the one hand and a transient flow of young people with an art-punk perspective on the other. But amongst the cheerier ranks of contemporaries like Blam Blam Blam and the Screaming Meemees there were, surprisingly, a few slices of genuine malevolence oozing out of the Queen City, too. One of the very best was Alms For Children (AFC), a short-lived group who made one 7-inch EP and quickly broke up, only to more or less reconvene under the new moniker of This Sporting Life. Their lifespan was short but productive: that first independent EP came out in ’81 and was followed by two 12-inch EPs on Flying Nun, Show Me The Bellrope (’82) and In Limbo (’83). Now some 37 years later, Rob Mayes of Failsafe Records has curated a compilation that at last honours this group who for so many years has sunk below the radar as their sparse recorded legacy on vinyl grows ever more covetable by collectors. One gets the feeling that it’s been a real labour of love and a long time coming, especially given the name of the first track: ‘Failsafe’. 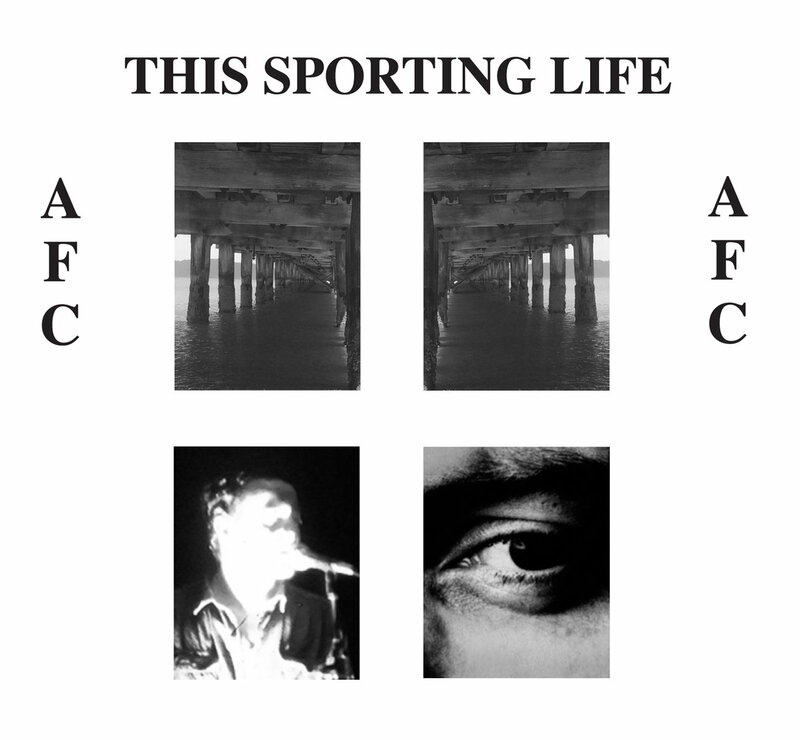 This Sporting Life/Alms For Children does exactly what it should do and collects together everything the group released during its short lifetime, along with a brace of eight live recordings of otherwise unrecorded songs. While this additional material is welcome and the audio quality is better than could be expected, I kept thinking that it would probably really come alive if I dubbed it onto cassette tape and played it on an old Sony Walkman rather than a state-of-the-art hi-fi. As for the original records, they sound as fresh and bracing as ever. The undoubted highlight for this fan, however, is the very first single. On these three songs – despite the fact that in the liner notes the group attest to very limited prowess on their respective instruments – AFC spark in a way they never quite managed on their two Flying Nun discs. There’s that thing you get with a new band sometimes where everything suddenly locks together and there’s something kinetic in the air. ‘Failsafe’, ‘Mother’ and ‘Danny Boy’ are all terrific songs with terrific riffs and Gary Charlton’s vocals have a similar needling intensity to that of Phil Judd’s. New Zealand was still a remote location back in ’81 and there was little record company or radio support for anything punkish or independent and especially not for the kind of musicians who really wanted to topple the industry applecart. This was only a few years after John Lydon’s fighting talk about dismantling the industry and creating something much more genuinely artistic from its ashes and revolution was still in the air. It wouldn’t last, of course, and the New Romantic movement had quickly taken hold in the UK, which meant that – although they didn’t know it – groups like AFC were really the last gasp of rebellion against the machine. Reconvening as This Sporting Life in ’82, they released the mini-album Show Me To The Bellrope, and while it’s still great, the recording is a bit thin and the mix is gutless and the group sounds like it’s been listening to too much of The Fall and maybe too much of the early music of its new parent label as well. Yeah, there’s just a tiny bit of the Dunedin strum here, but not enough to kill its spirit. Particularly great is the song ‘Happy’ which is deliriously nihilistic and all the better for it. Then there’s the four songs of their final EP, In Limbo (’83) which sound much more fulsome than the previous record but lose traction in other areas. The guitars sound more uniform and Gary’s vocals seem less rehearsed and less distinctive. But again, while Alms For Children had nicely locked-in rhythms, This Sporting Life sound like they’ve taken a rhythmic tip from The Fall and it’s all a bit too uniform. (Although I have to say The Fall are a pretty cool group to be influenced by). It’s easy to make too much of their flaws, however. Even in their weakest moments This Sporting Life are fabulous. It’s a real pity their moment passed so quickly, but as they explain in the liner notes they found themselves in a scene awash with competing factions and violent boot-boys to contend with at gigs and just like in Wellington, suddenly it was time to move on. In short: a most excellent compilation by a group who will hopefully finally get its moment in the sun decades after their demise. At the very least, they’ve got this memorial to prove they existed, and why. 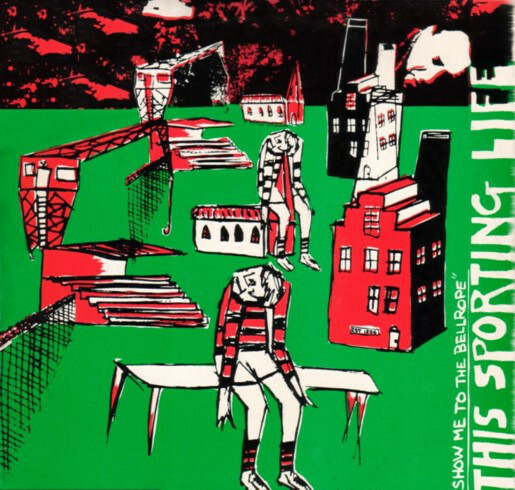 Check out the This Sporting Life history on AudioCulture here.